Cold Weather Triggers Speckled Trout "Mass Mortality Event"
Hundreds of speckled (or spotted) trout are turning up dead in Virginia waterways, after the recent stretch of freezing temperatures in the Bay. The cold-stun event appears to be worst around the Lynnhaven Inlet and Little Creek. Dr. Pat McGrath, a marine scientist at the Virginia Institute of Marine Science, tells Bay Bulletin that when the water temperature drops between about 41 and 44 degrees Fahrenheit for more than a day or two, speckled trout start to die. The Chesapeake Bay is already the northern border for the fish's population, so they are living at their thermal limit even when the Bay isn't gripped by cold for days on end. 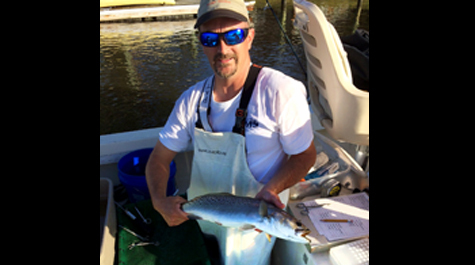 Dr. McGrath, along with VIMS professor Eric Hilton, have been tagging and tracking speckled trout since 2016 to find out more about these cold-stun events. So far, 74 fish have been tagged, but Dr. McGrath says there is a good possibility that just about all of his tagged fish are now dead. The VIMS researchers are finding that smaller speckled trout behave differently in cold weather than the larger speckled trout. 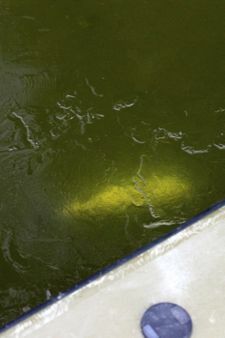 Almost all of the fish under 14 inches leave the rivers when the water gets dangerously cold, heading to the mouth of the Bay or the ocean, where temperatures are more stable. But the larger fish do the opposite, and actually head up farther into the shallow parts of the rivers, hoping the shallower water and mud may help them warm up more quickly. But that's not usually the case: these larger fish are the ones that die. Anglers despair when they see cold-stunned trout floating on the surface, because it usually means the recreational fishery won't be good in the coming year. Dr. McGrath acknowledges the impact, saying, "The fall of 2018 is probably going to be a good year to take off from speckled trout fishing. Maybe...focus on rockfish next fall." But, Dr. McGrath points out, all hope is not lost for future speckled trout fishing. The smaller fish, who leave the river and typically survive these cold water events, will continue to grow and thrive in the coming , and may make for a good season two years down the road. North Carolina has also seen a high mortality rate this winter, and just announced it is suspending all speckled trout fishing until June 6th. Virginia hasn't imposed any limits of its own.